Low mood light does wonders to almost any interior. 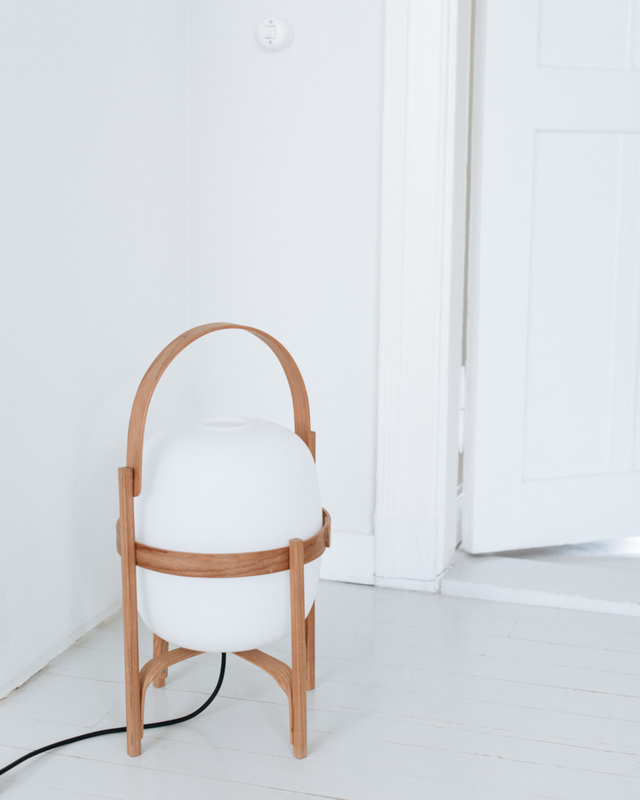 ‘Cesta’ lamp consists of a light cherry wood structure that holds an opal-shaped glass shade. Designed by Miguel Milá in 1962, and produced by Santa & Cole, the lamp sits in the corner of our kitchen and living room. Vintage hemp kelim rug revitalized and re-designed by Danish textile house Private 0204. I find resonance in the Josef Frank quote about a living space never being unfinished and never finished. That it simply lives with those who live within. Don’t you think that is just so well put? Moving to a new place, I love the feeling of pureness and emptiness in the beginning. You know, when the walls are clear and there are still furniture and lights missing. It is like spring. Even though you cannot see flowers and green leaves yet, you sense them becoming. There is power in the waiting. It is the power of change and possibility. Having less stuff around is when the creative energy within you really flows. Where there’s no lights, you use candles, and out of those pieces of furniture and textiles you have around, you make comfortable areas for sleeping, eating and lounging. It is not a huge amount of stuff anyway that we need to have in order to feel comfortable and at ease. I often find it the other way around: having too much is what causes the unease. As for the things you bring in, I have been a selective snob with my shopping habits for a long time now. Meaning, I enjoy choosing well and only buying the very thing I want. If it is out of my budget, I have no trouble waiting until I can afford it. More and more, though, I do not even make mental wish lists or plans for buying things. Instead of things, I dream of experiences. Art too. And I enjoy making days in my home beautiful for anyone who enters. Fresh air, fresh thoughts, good food. A fire, hot chocolate and sauna when it is cold. Open windows and cold drinks when it is hot. Fresh sheets and towels and flowers for the weekend. Candles, year around. Homemade granola. Grinding coffee in the morning and eating a homemade meal together every evening. 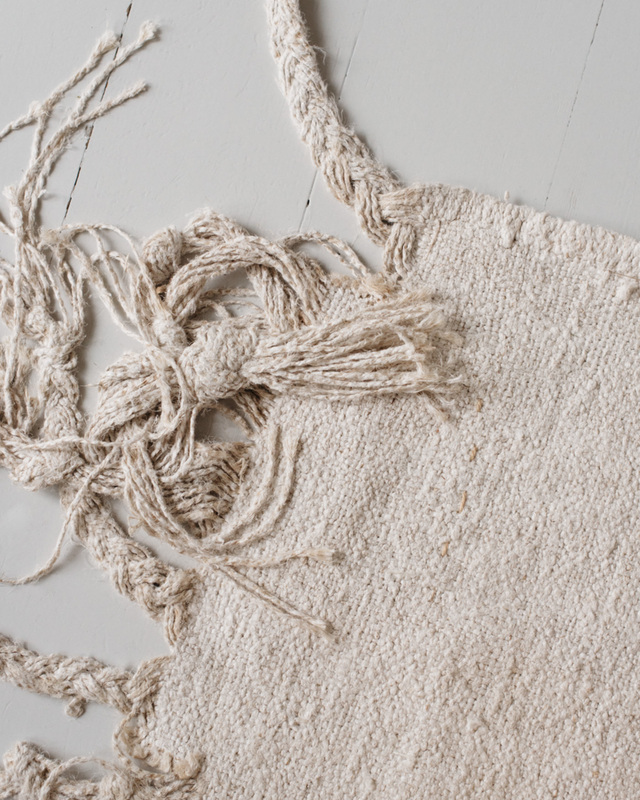 Repairing old objects to give them a new life. Playing with textures and colors. Creating new moods with existing items: textiles, lighting, scents. Painting a wall with a new shade. Arranging flowers. Making art. Making things. Instead of trying to make the interior perfect, letting it live with those who live within. Leaving room for change means leaving room for life, endless possibilities.